“Talent wins games, but teamwork and intelligence wins championships.” Was once said by the great, Michael Jordan. On January 29th the Junior High Girls Basketball Team wanted revenge on the Blue Valley League Championship game, facing off against the team who defeated them earlier in the season, the Hanover Blue Jays. 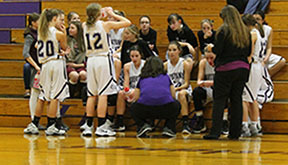 The Lady Mustangs had to play tough defense and also put up points to get what they wanted. Which was, the championship. Starting the game off, the Mustangs came out strong offensively scoring 14 points while holding their opponent to only 7 thanks to some stellar team defense in the first quarter. The next quarter approached and the girls were looking to end the first half on a good note. Although the Mustangs were outscored 6-8, they still lead the first half 20-15. When the second half started, the girls knew they had to keep fighting and they did, leading the game by 6 with 29 points ending the third quarter. The girls knew they needed to wrap up the game, and once again they did. Putting together a very strong fourth quarter to win the game, outscoring the opponent 15-1. At the end of regulation, the final score was 44-24 being. 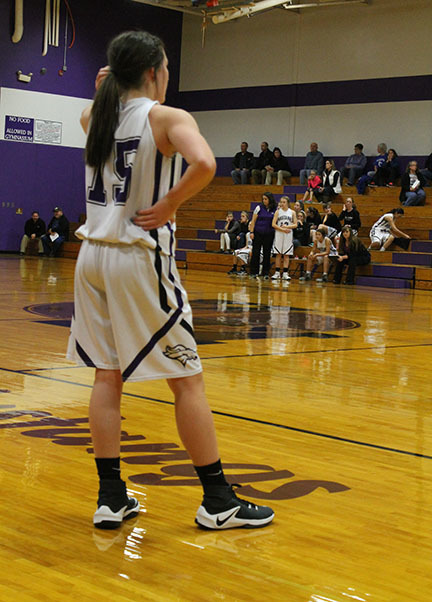 The Mustangs were led by 8th grader Emma Yungeberg scoring 28 points. Winning the “ship” was very important to the girls, especially the eighth graders. They wanted their last go-around of Junior High basketball to be successful before being sent off to play High School ball. The girl’s season ended up being very successful, winning all but one game and finally getting revenge on the team that ended their winning streak.